It takes a powerful transmitter to travel through walls and reach distant microwave towers. 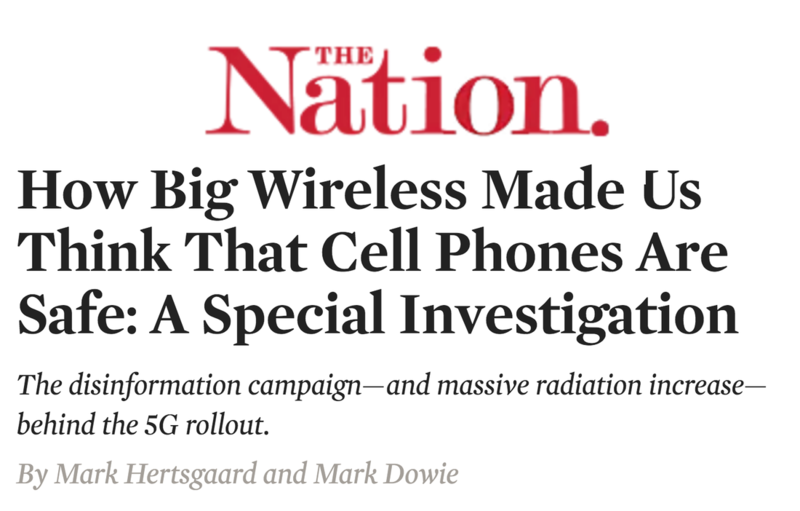 That's why manufacturers of cellphones and other wireless devices warn users to keep these devices away from their bodies (but bury those warnings where they are unlikely to be seen). The National Toxicology Program has been conducting lab studies to clarify the potential risks to human health from cell phone radiation. A recent review of the NTP study found the risks were more serious than previously believed. A listing of scientific studies on microwave radiation and its impacts on human health. For more than 35 years, Microwave News has been reporting on the potential health and environmental impacts of electromagnetic fields and radiation. The publication is widely recognized as a fair and objective source of information on this controversial subject. Materials to help you spread the message.